By the end of August, the Texas Department of Public Safety will be close to its goal of permanently placing 250 additional state troopers on the southern border. The Texas Department of Public Safety is nearing its goal of permanently assigning 250 additional troopers to the state’s border with Mexico. And after initially concentrating its efforts in the Rio Grande Valley and South Texas, the agency is now expanding its target area to include West Texas and Big Bend. By the end of August, the DPS academy will have graduated 209 of the 250 border troopers required by House Bill 11, an omnibus border-security measure passed in 2015 mandating the increase in staffing levels. Agency spokesman Tom Vinger said most of the new recruits are in the agency's Region 3, which extends from Val Verde County to Cameron County on the Gulf Coast and includes the McAllen, Laredo and Corpus Christi districts. Of the 123 troopers that graduated earlier this year, about half were assigned to Region 3 and 20 to Region 4, which spans from El Paso County to Terrell County. 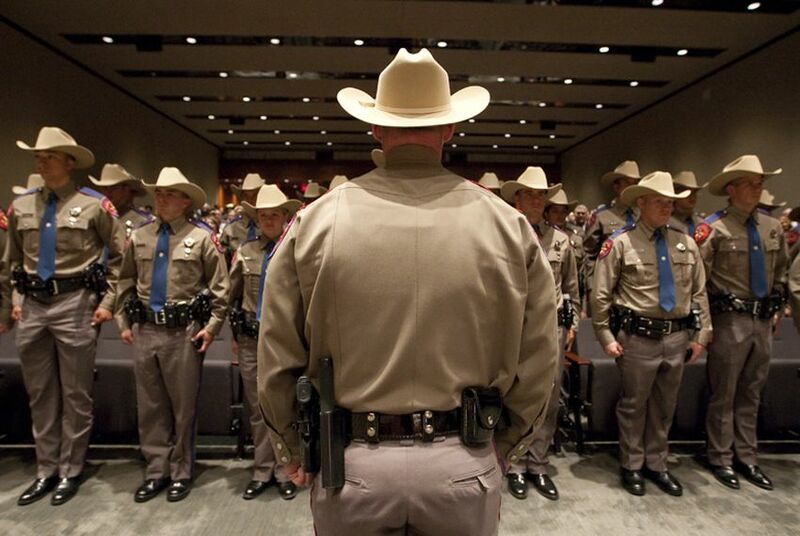 That’s in addition to other troopers assigned in West Texas to help fill vacancies. Extending the border deployments to West Texas troubles some lawmakers, who argue that part of the Texas border isn’t experiencing the same surge of undocumented immigrants that Hidalgo and Cameron counties have seen since 2014. Lawmakers said that wave of unauthorized entries justified the unprecedented allotment of $800 million for additional border security the Legislature approved in 2015. Critics argued that the border was safe and that the immigrants were fleeing violence and meant Texans no harm. But lawmakers said the U.S. Border Patrol could be distracted by the surge and that DPS was needed to fill in the gaps. State Sen. José Rodriguez, D-El Paso, said that’s not happening in his district. “There is no evidence Border Patrol is distracted or requesting assistance in El Paso or elsewhere, and there has been no ‘surge’ in immigrants crossing in or immediately around El Paso,” he said. Rodriguez added that he’s heard from local peace officers that DPS officers sometimes “spend more time harassing local townsfolk” than performing police work, and that his office wasn’t told about any increase in DPS activity. U.S. Border Patrol Agent José Perales speaks on what it's like to have DPS troopers patrolling areas near the Rio Grande. “We are not aware of DPS communication with other law enforcement agencies, lawmakers or — importantly — community stakeholders,” he said. Vinger said placing more officers in West Texas falls in line with the agency’s overall border-security mission, though it’s unclear how many more troopers are slated for that part of the state. Vinger said another training class with 160 enlistees begins in July, and another in September. Though the 250-trooper increase garnered the most controversy, it is actually a fraction of the state police’s overall border effort. Vinger said trooper levels may exceed the 250 required to make up for attrition and openings the DPS needed to fill regardless of HB 11's border-staffing goals. And although the 209 will go toward fulfilling the legislative mandate, there will be 288 recent graduates assigned to the border area by the end of August. According to a DPS fact sheet released in April, there were 230 additional troopers in the border area that were deployed from other locations across the state, and the equivalent of 313 more full-time troopers when overtime work is added to the totals. When the April brief was released, trooper strength on the border exceeded 1,200 officers, according to DPS. Vinger said trooper rotations to the border from other parts of Texas would continue until the state’s leadership or Legislature say otherwise. Rookie troopers will also be paired with veteran officers for at least six months after graduation. Though some border lawmakers balk at the increased staffing, some U.S. Border Patrol agents in understaffed zones welcome their presence.